Often it is at a point of crisis we find ourselves having to face the reality of our parents getting older and needing more help. Being faced with an emergency at a time when we are juggling a busy life, living at a distance can be challenging. Worse still, not knowing what to do, what happens in their daily life or what they wish to happen. In general, our parents or elderly relatives continue to manage their day to day life without too many issues, often one looks after the other and they muddle through. However, what happens if one is taken ill or admitted to hospital and the other is unable to manage on their own. Sadly, it isn’t until a crisis occurs that things come to light. I want to visit Dad in hospital but I can’t leave mum on her own? Who is going to look after mum, she has dementia? How do I find the care she needs, fast? How can I manage work, the house, children and still be able to stay with mum? To be faced with these challenges during a crisis can feel overwhelming. This is why our Contingency Plan is beneficial to so many including families and professionals. Our contingency plan will bring all the key elements of a person’s life into one place with a plan of what to do should an emergency happen. It provides peace of mind to families in the event of a crisis, with a dedicated team providing practical advice and support to manage the situation as it occurs, putting into place the agreed actions within the plan. The personalised plan will identify possible situations or events that will occur sometime in the future and set out actions to be taken by family members or professionals. 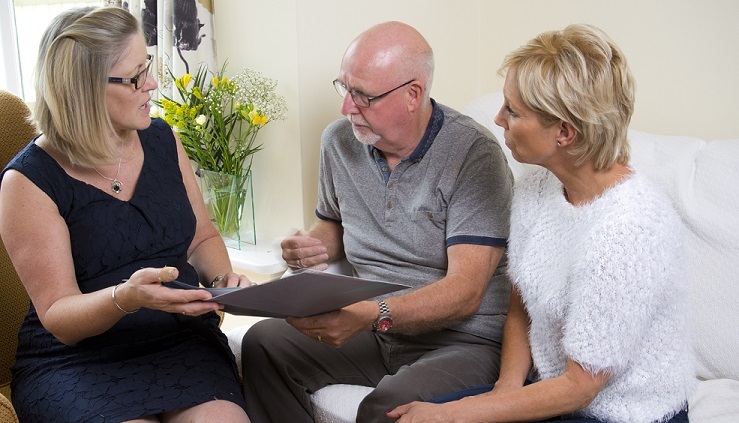 The Clarity team will work closely with the older person, their family and/or representative to ensure up to date and relevant information is captured and be the point of reference to inform those required to make decisions. 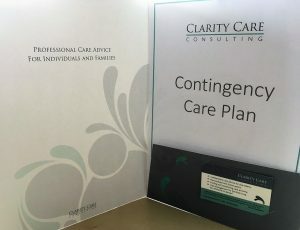 If you would like to know more about how a contingency plan works or are interested in setting one up for an elderly relative or friend, contact the Clarity Care Consulting team by calling 02392 251351 and they will be happy to provide you with more information.